Makes your radio truly wireless and looks very stealthy. 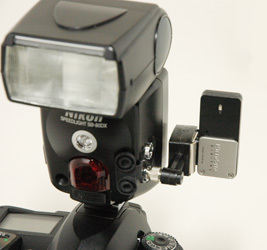 We designed this adapter to solve the problem of using your on-camera flash with no other way to connect the transmitter other than by a cord and hang it or velcro it. 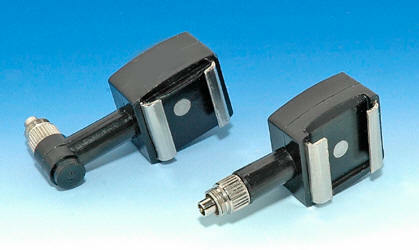 This adapter attaches the Microsync, or Skyport transmitter to your camera or flash. 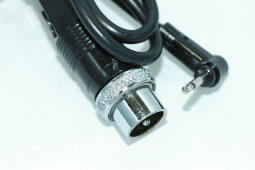 This adapter securely attaches with screwlocking PC which fits all Nikon, Canon Cameras and flashes with PC have the screw-in feature. 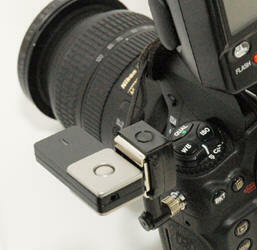 Mounts Microsync and Elincrom Skyport transmitter to your camera or flash. 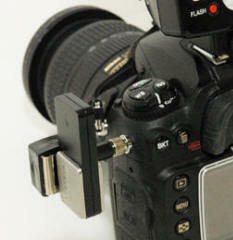 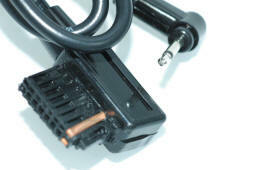 Allows you to connect to Nikon or Canon camera to transmitter.